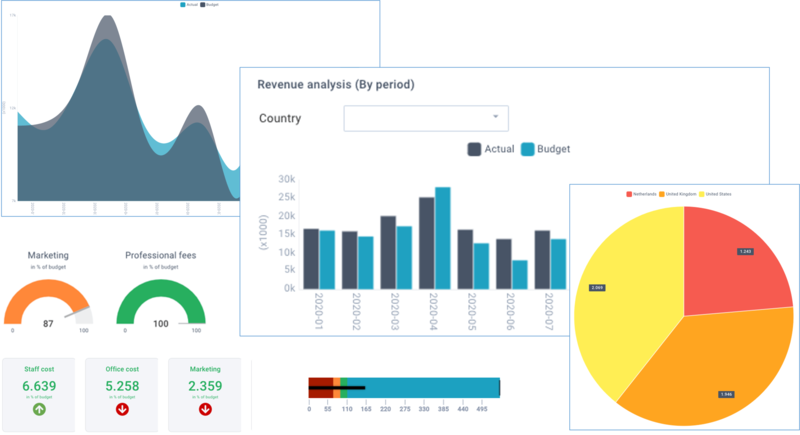 Reports are configurable objects that define how information from your data sets should be combined and presented into reports and charts. Standard reports - A combination of Excel pivot tables and subtotals, these reports show automatic row and column grouping, and subtotals. Drilldown reports - Similar to Excel pivot tables, these reports show aggregated two-dimensional information which you can drill into. Pivot chart - Similar to Excel pivot charts, the charts include all common types, such as line, bar, column, pie, donut, area, radar. Sparklines - Sparklines show the development of a given item over a period of time, which is useful to understand trends at a high level. 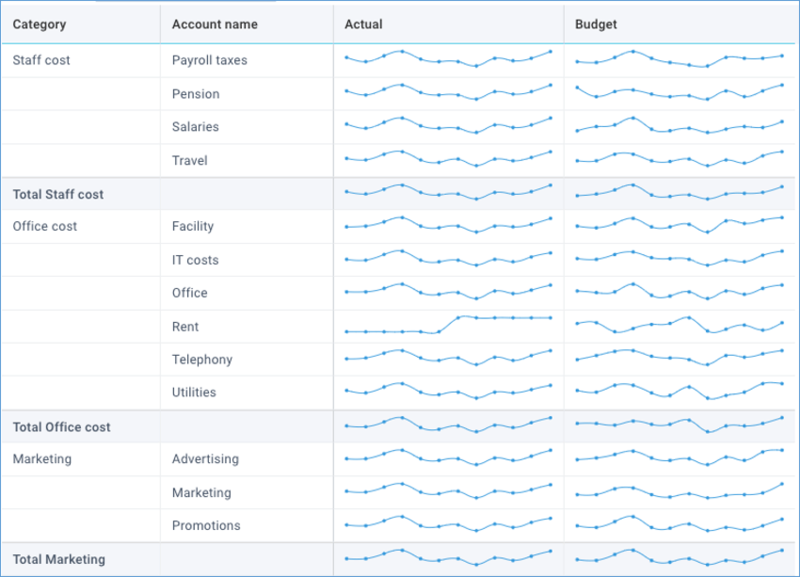 Hierarchy reports - These reports show data in a hierarchical structure. 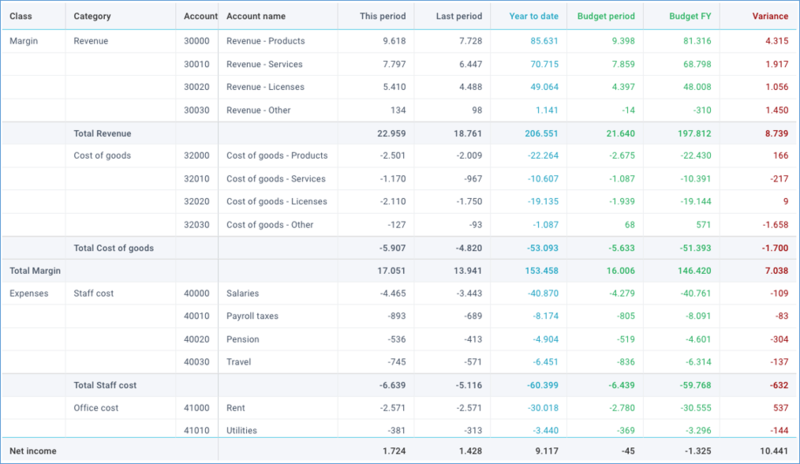 For example, revenue by region or business unit can be represented this way. KPI gauges - These reports show gauges, ideally suited for KPI purposes. KPI scorecards - These reports show numeric scorecards, enabling you to compare two different metrics, ideally suited for KPI purposes. Click on the Actions - Create new button of an existing report. This also enables you to make a copy of an existing report. Name - enter a name. This must be unique within all your reports. Description - enter an (optional) description to explain the use of this report to users. The text can contain basic html tags to format your text (e.g. <br> for a next line, <b> for bold text). The text can also contain the following system functions: IMAGE, LINK, HELP, OBJECT, TENANT, TOOLTIP, USER to include dynamic information in the text. Active/locked - activate or lock a reports. When locked, the report can not be run. Source data - select the source data set. This is the primary data set for your report, all linked data sets will automatically be included as well. Group - select how this report is to be shown in the menu navigation. User roles - select one or multiple user role(s) to restrict access to this report. If you leave this blank, all users have access. Script - create a script to process the source data before the report is generated. This option is for advanced use, and only visible if your user role has the relevant permissions. Read more about scripts. 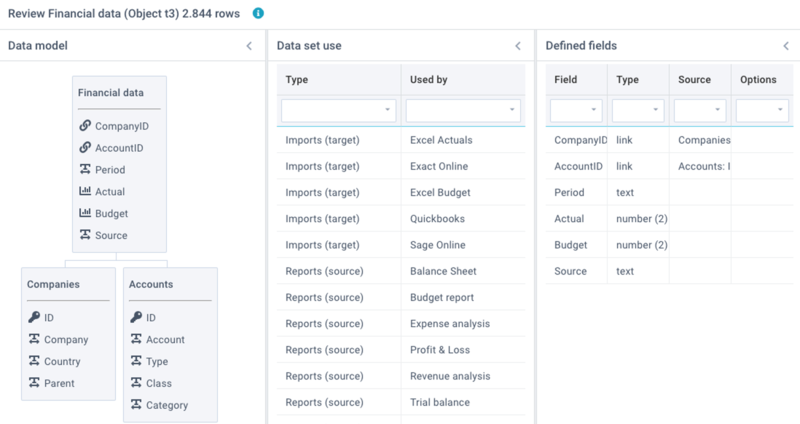 Define fields - select the fields that you want to include in this report, and (optionally) define custom field names, conversions, calculations, and data filters. Add new layout - add a layout to this report. Edit this layout - edit the currently selected layout. Rename this layout - rename the currently selected layout. Delete this layout - delete the currently selected layout. 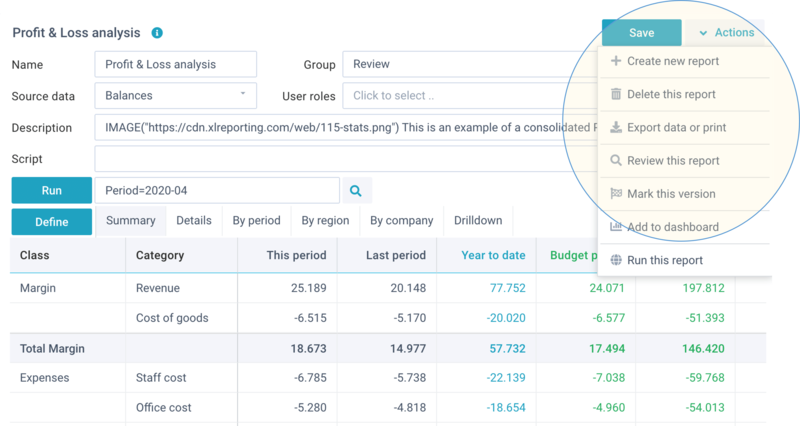 By default, reports will include all columns from the source data set and its linked data sets, without any conversions or filters. You are free to rename fields for the purpose of this report, without impact on the source data sets or any other reports. Source field - this refers to a data set column. You can use the reserved word data to refer to its content if you want to convert or filter this data. Calculated field - this does not have its own source. You need to provide a static value, a formula, a function, or an expression on other fields to give this field some value. 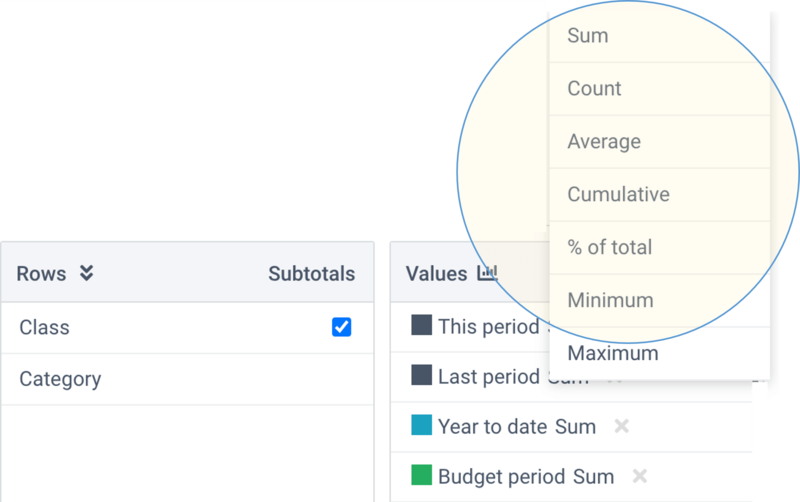 In the above example, we have created 2 calculated fields: one to calculate a variance between 2 other columns, and another one to calculate the variance as a percentage. You can optionally set a specific format for fields with numeric values. If you leave this blank, the field values will be formatted to 0 decimals. 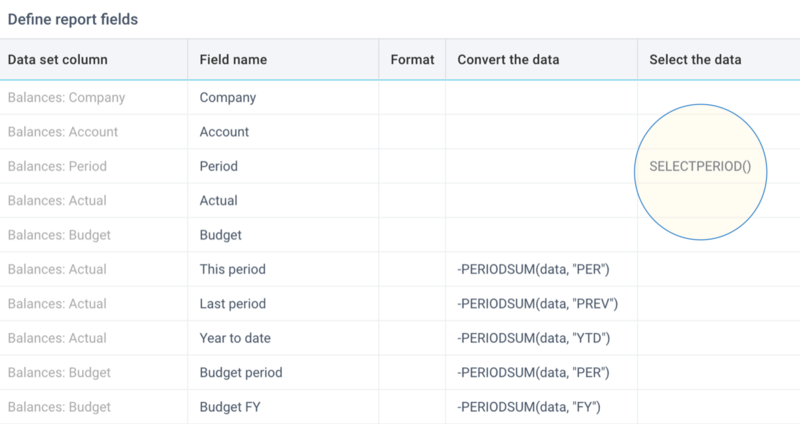 You can enter the full field names in the Convert the data and Filter the data columns. They are not case-sensitive. 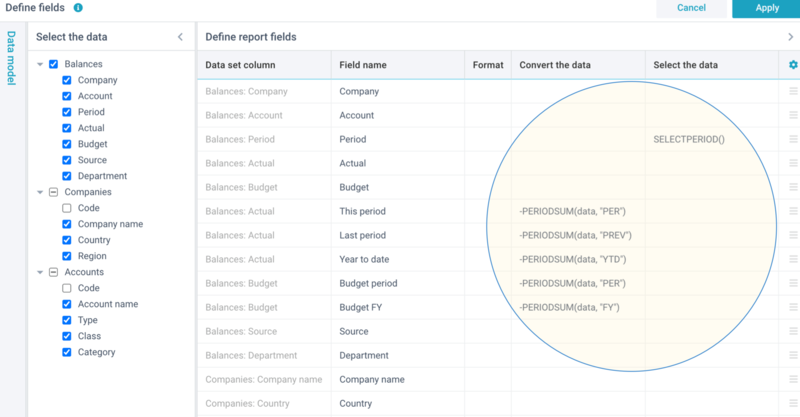 XLReporting will match them to data set columns and report fields and enclose them in brackets e.g. [Actuals]. If this produces the wrong results, you can place the field names between brackets yourself. You can create multiple calculated fields but alway use the source fields, and try to avoid chained calculations (i.e. one calculated field using the outcome of another calculated field). Be aware that division operations (e.g. field1 / field2) will only work if all referred fields are included in the report layout. You can filter the data in your report. 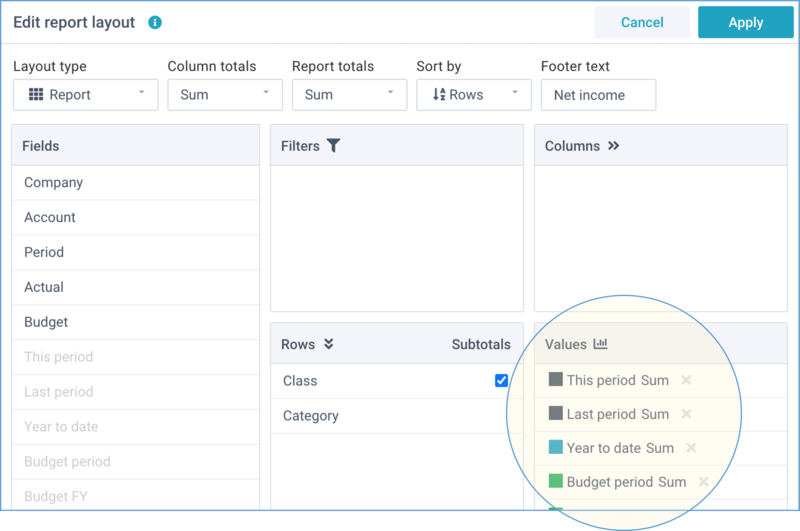 Filtering means that you can exclude rows in your source data from the actual report. You can specify a static value, a simple function, or a complex expression and you can use all common operators. You can choose from various filter functions. This will present a list of values that the user can select from before the report is generated. A special variant of this is the SELECTPERIOD() function. 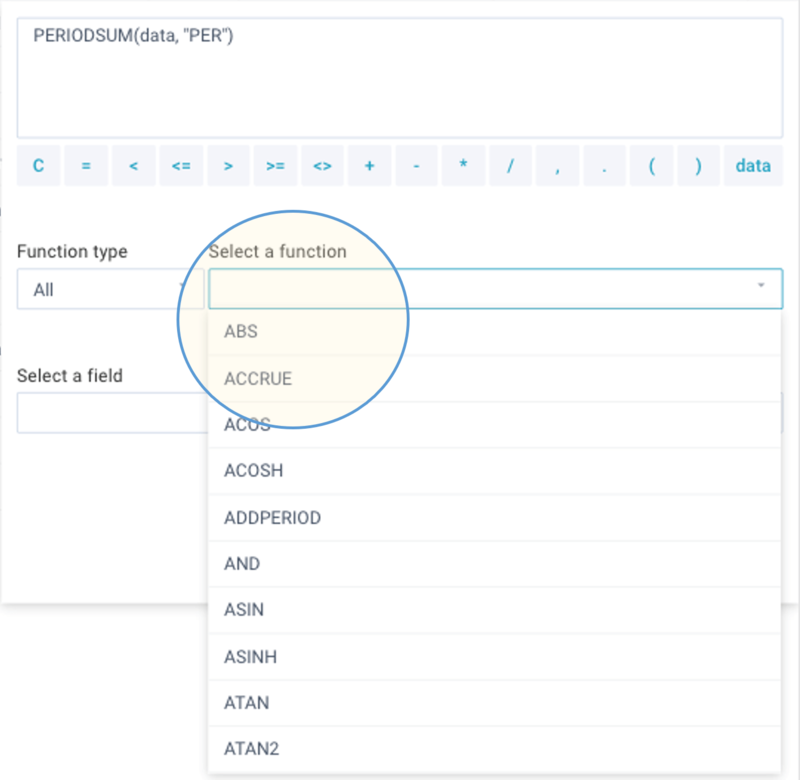 If you use this function in combination with the PERIODSUM() function, you can build powerful and dynamic period-discrete and year-to-date calculations with just a few clicks. Read more about period conversion functions. 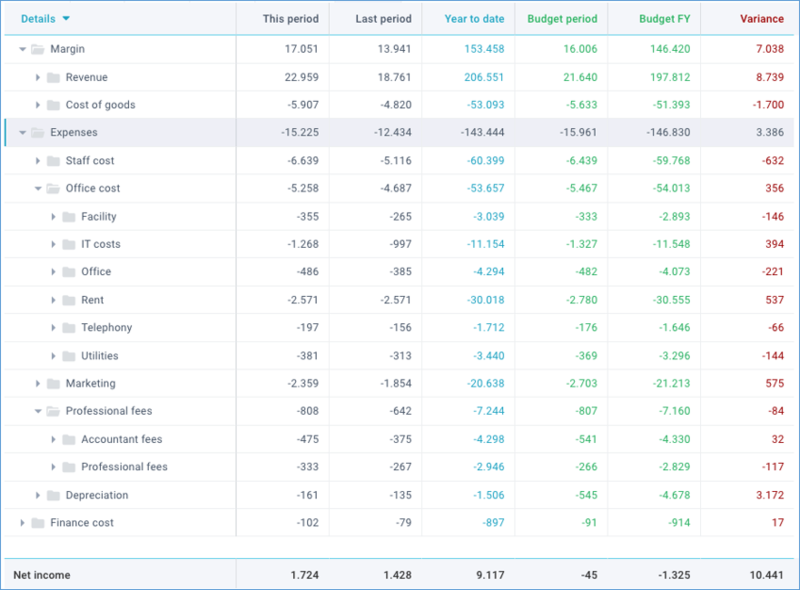 XLReporting provides 7 different report types and 14 chart types, see examples of all report types. date - this will present a date picker. select - this will present a list of values, and allow the user to select one. multi-select - this will present a list of values, and allow the user to select one or multiple choices. text - this will allow the user to enter any partial text. Rows - drag fields here that you want to lay out into rows. This is the main dimension of your report. 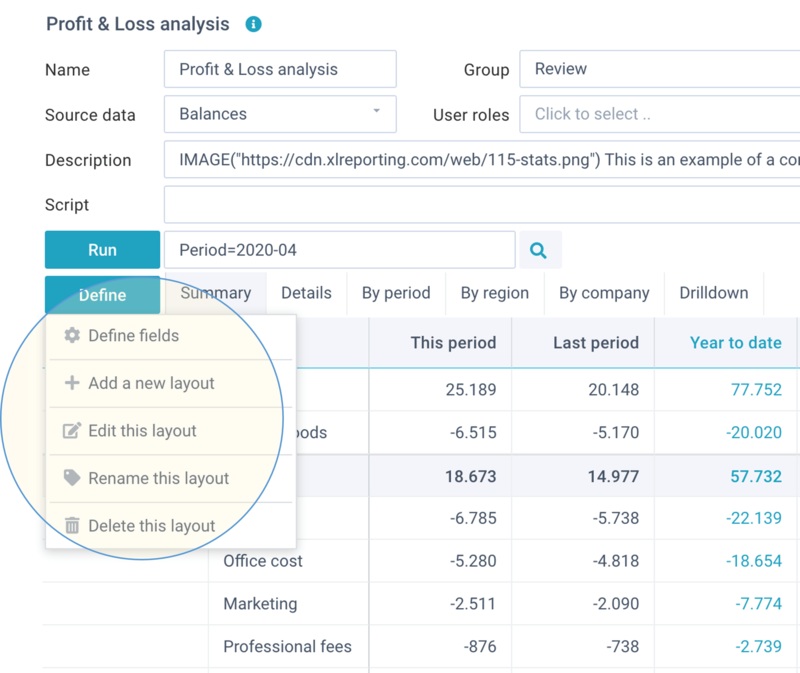 You can create a grouping in your report by dragging multiple fields here, and move them into the desired order. 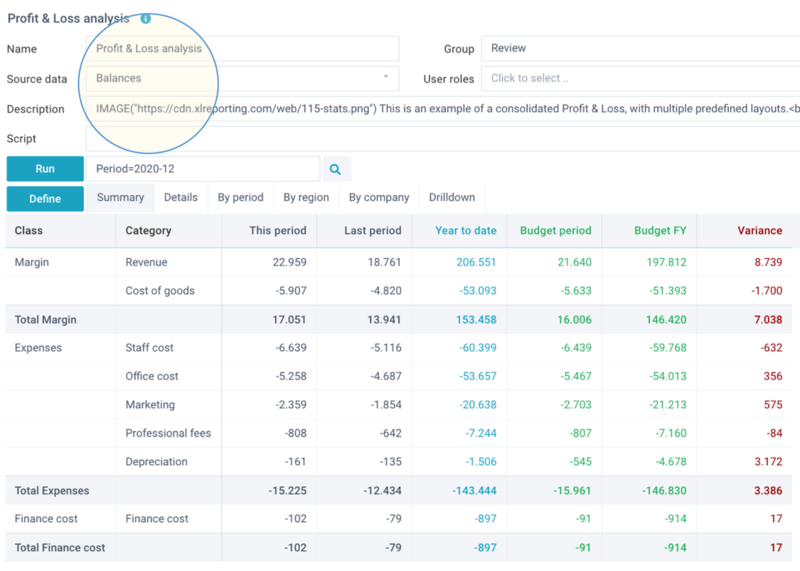 For the standard report type, you can also indicate where you want the report to show subtotals. 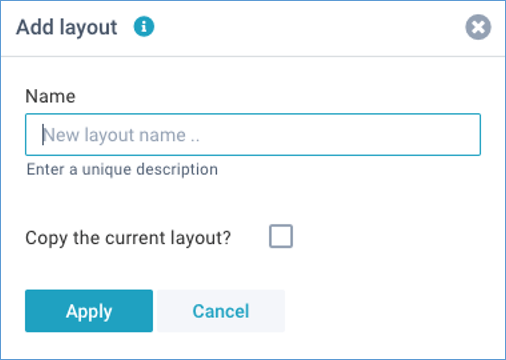 All report types are very interactive with dynamic user filters, and you can change the position of fields in the report -and the level of detail- at any time.